Clothes Moths, Silverfish and Carpet Beetles, the fabric pests, are not uncommon even around the cleanest of homes. They are very destructive pests and specialist methods may be required to eliminate them from your home or business. 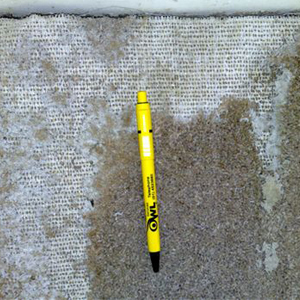 The diets of these fabric pests are items commonly found around the home. Carpet beetles and moths seek out a protein called keratin which is a protein found in fibres of animal origin such as wool. Silverfish tend to eat substances of plant origin such as cotton, cellulose and starch. These pests usually operate quietly and unseen in the darkness of your cupboards or drawers and can cause irrepairable damage to many common items so knowing their habits and knowing how to eliminate them are important. 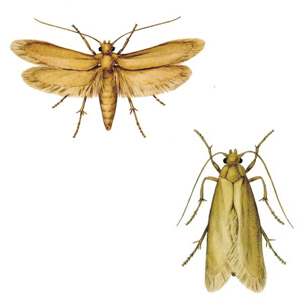 Firstly, the Clothes Moth needs to be distinguished from the common flying house moth and one of the big differences is that unlike the house moth, clothes moths are not attracted to light and in fact tend to avoid lighted areas. Clothes moths are small (approx. 1 cm long) and buff or straw in colour and have 6 legs however damage is done not by the adult moth, but by the larvae. The adult tends to lay eggs on materials that provide an adequate food source for the emerging larvae which will be protected by a “case” made from the fibres of the material on which they are feeding. 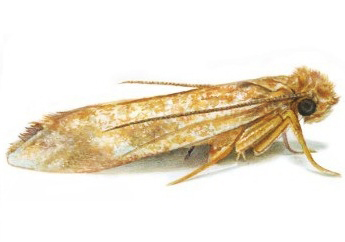 When the larvae goes to the pupate stage (pre-adult) its presence may be seen high up on walls or within the material upon which it is feeding (depending on the species of clothes moth) and once emerged, an adult clothes moth has a very short life span. 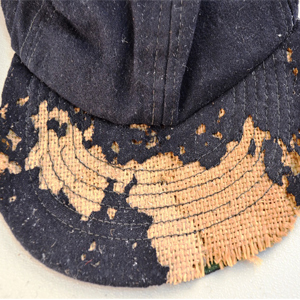 Signs of clothes moth activity are indicated by the presence of damaged material, cast larval skins and sand like larval droppings. 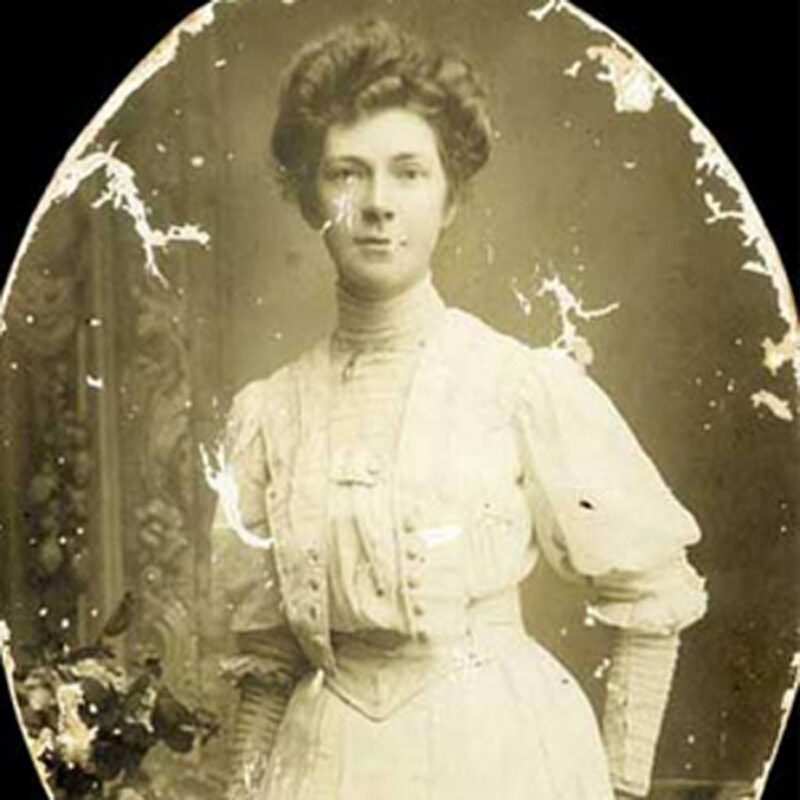 The diet of clothes moths is always of animal origin and can consist of woollen garments, feathers, upholstered furniture, milk powders, dried hair and leather. They will also feed on lint, dust, paper and materials soiled with oil. 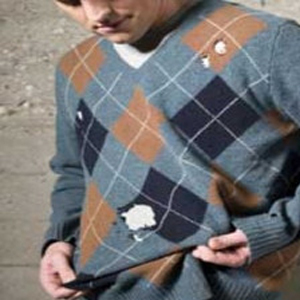 They will feed on mixtures of natural and synthetic fibres but cannot feed on materials made only of synthetic fibres. They prefer dirty fabric and are particularly attracted to carpeting and clothing that contain human sweat or have had other liquids spilt on them. Control of clothes moths would consist of the application of short residual, low toxicity preparations to affected areas inside the home. Perth Pest Control have an experienced team that is well versed in the elimination of clothes moths from Western Australian homes so contact us for further details. Another common household “fabric pest” is the silverfish. A nocturnal creature not often seen during the day, silverfish cause damage within homes by their diet requirements of sugar, starch and high protein products. Silverfish are wingless, primitive insects and can easily be identified by three long appendages protruding from the rear of their abdomens. They have a fishlike appearance with a tapered body approximately 2cm in length and a dull silvery colour. Silverfish normally lay their eggs in small crevices or other dark places and these eggs hatch after a period of 2 – 8 weeks and the resultant nymph resembles a small version of the adult silverfish. 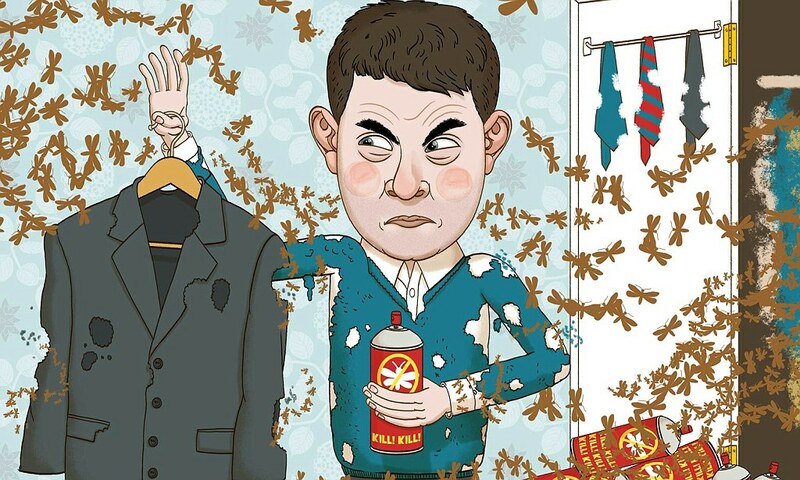 Around the home, silverfish cause damage by eating foods such as cereals, moist wheat flour, paper on which there is glue such as wallpaper or book bindings, starch in clothing and rayon fabrics. They also consume common items such as photos, sugar, coffee, hair and even dandruff. Silverfish can live for a year or more without food and in times of famine, will attack leatherware and synthetic fabrics. Silverfish cause damage to books and paper by feeding on the surface and whilst they don’t have strong mouthparts they tend to abrade a surface until they break through as can be evidenced by an almost lace-like appearance on a book cover for example. Silverfish need and constantly seek water and hence are frequently found trapped in sinks and bathtubs and quite often can be seen in bathrooms and basements and in fact in new buildings, where the masonry is still damp, they quite often can be found in large numbers. Silverfish activity can also be seen around bookcases, closet shelves, behind skirting boards and window and door frames. Silverfish will leave behind a small pelletised frass which resembles small mouse droppings and this may be scattered randomly under items or on surfaces. 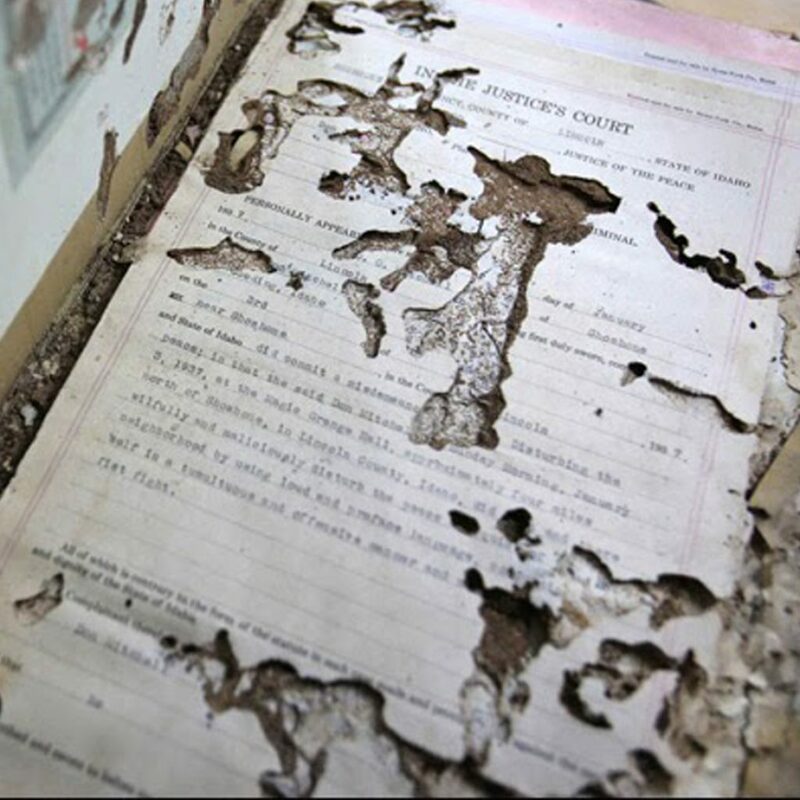 The ingress of silverfish into Western Australian homes is quite often done by bringing in cardboard cartons, books and papers from infected sites. 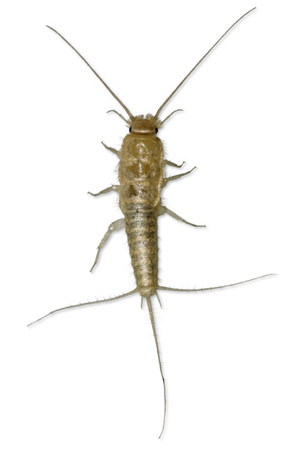 The elimination of silverfish by Perth Pest Control is done using the careful application of residual surface sprays and the judicious use of space sprays. Contact us for further details. 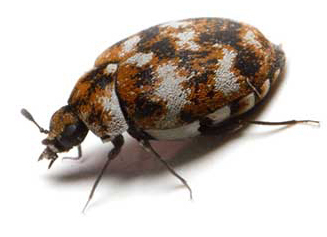 One of the less obvious “fabric” pests found in our homes is the carpet beetle. Small and sometimes not as visible as other pests, carpet beetles nonetheless can cause damage and need to be exterminated if an infestation is present. There are several species of carpet beetles in Western Australia but their biology and damage they can cause are similar. Carpet beetles, in the adult stage are small, about 3 -4mm long, dark grey in colour with four distinct wavy bands across their oval shaped body. The adult carpet beetle feed on pollen and live outdoors but come inside to lay their eggs in dark places where there is a plentiful supply of food for their larvae. The larvae itself is reddish-brown in colour and has bristles over its body and is quite active. It is this larvae that causes the damage in our homes where it has a natural habitat of darkness and will be found feeding in dark cracks and crevices in furnishings, skirting boards, in cupboards, behind doors and under carpets. 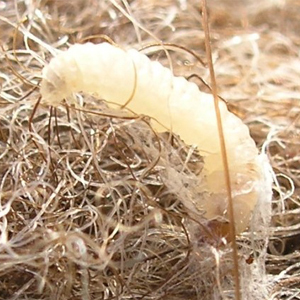 Carpet beetles cause damage to an item that has a natural fibre constituent for example, soft furnishings, woollen goods, fur, silk, items of clothing, bedding and stuffed toys. Damage done to carpets by the carpet beetle is less common now simply because most carpets are synthetic and tend to be treated to repel the beetles for 10 years however they will attack synthetic /woollen mixtures of carpets. 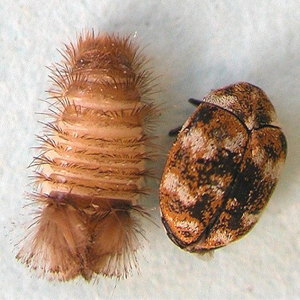 Once the carpet beetle larvae has fed, it changes into an immobile pupa for 2 – 3 weeks after which it becomes an adult. Adult carpet beetles are attracted to light as their natural habitat is outside where they feed on the pollen of flowers. At this stage, the carpet beetle causes no further damage. Signs of carpet beetles in your home would be shedded skin from the pupa as it turns into an adult. Empty, hairy skins maybe found in and around those areas of your home mentioned previously. Also, dead adults may be found in areas such as window sills where they have tried, unsuccessfully, to move outside to feed on flowers. Carpet beetles are harmless to humans and domestic pets and may be found in any home regardless of the cleanliness of that environment. 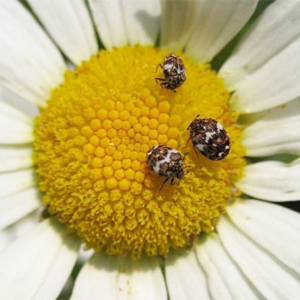 They can enter a home simply as passengers on cut flowers, for example, and adult beetles can reside in bird’s nests from where they then try to fly into a home to lay their eggs. The first step to the treatment of a carpet infestation in your home is thorough vacuuming of the area paying particular attention to edges of carpets, around and under furnishings and any dark corners. The next step is an application of special residual pesticides aimed not only at eliminating the existing beetles, but making sure there will be no further infestations in the future. Fabric pests in Western Australian homes whilst not directly harmful to humans, have an intrinsic nuisance value that needs to be eliminated. A key element in doing this is knowing the best treatment required and to determine this, the correct identification of a particular pest is essential. There’s not a “one application suits all” pesticide that we at Perth Pest Control will use in the elimination of fabric pests from your home. What we are very good at is locating and identifying the species of fabric pest in your home and knowing which pesticide to use and then the safe and judicious use of that pesticide. Email or phone us at Perth Pest Control if you need any information on fabric pest elimination from your home. 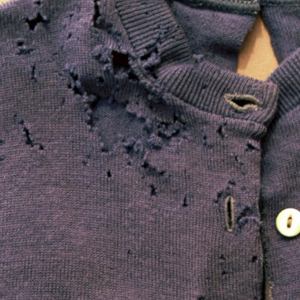 I have found holes in my woollen jumpers in my cupboards, do I have silverfish or moths? Silverfish tend to like things of plant origin such as cellulose or starch whereas some species of clothes moths prefer items of animal origin of which wool is one so in this case it appears you have moths. I am laying new carpet in my house, should I worry about future infestations of carpet beetles? Probably not. Carpet beetles like products of animal origin and yes, woollen carpets fall into this category however nowadays woollen carpets are treated with a pesticides at manufacture which makes them resistant to carpet beetles. Synthetic carpets are not attractive to carpet beetles but if they are soiled with traces of organic material (food scraps, skin cells from humans or animals for example) they may still be susceptible to a carpet beetle attack however regular vacuum cleaning should eliminate this threat. How can I prevent an infestation of clothes moths? A few simple tips that can help with clothes moth problems. Firstly, remove all lint, hair and dust from carpets, upholstered furniture, skirting boards, cracks in wooden floors and underneath furniture. Next, make sure closets, drawers and shelves are kept clean and free from dust where organic material can accumulate. Stored foods should be kept in sealed containers and finally, launder, dry clean or steam clothes and linen before storage as clothes moths like soiled items.